“One good thing about music, when it hits you, you feel no pain,” Bob Marley, a Jamaican singer-songwriter who became an international musical and cultural icon, blending mostly reggae, ska and rocksteady in his compositions. Well, if you don’t agree with Bob Marley, then you should skip this article. But if you do, I would like to introduce you to technological tools which help get the music to hit you deeper into your heart and your soul. They are portable speakers. 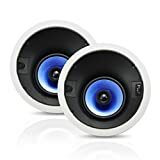 With the current advanced world, you can enjoy your musics with a better sound and more convenient by just connecting them from your phone or other music player devices. Thus, this article presents the top 10 best portable speakers that allow you to enjoy your music in a better way. Our first product is the Anker SoundCore Bluetooth Speaker with 24-Hour Playtime. This works with any Bluetooth device, such as android, tablets, smart phones etc. and incurs hands-free options. It has the feature of connecting on an automatic basis from relevant distances. 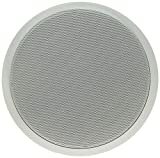 We highly recommend the speaker due to its long-life battery, high quality sound, and compatibility. 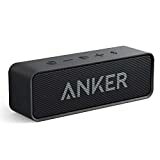 When ordering the Anker SoundCore Bluetooth Speaker, clients will also receive a USB cable, the warrantee for one year and a half after the purchasing date, and the welcome guide. Beside all these, clients can always rely on the customer support department. Next, we have the OontZ Angle 3 Portable Bluetooth Speaker. 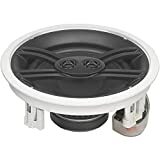 In addition to other speakers, this one is water resistant, has a bass function, can generate very high volume rates, has a fast connectivity, and it can be easily transported anywhere. In addition, its main features are the stereo mode, the acoustic module, the lack of distortion, the long-lasting battery, and compatibility with any android device, from PCs or laptops to tablets, phones, iPods, TV etc., including those not having Bluetooth technology. Finally, we do recommend this product to anyone who likes playing music at high volume and have fun in any location. The current product is also water resistant, and in additions supports two connections at once (either tablet or phone). However, in contrast to the previously presented items, its battery lasts for 12 hours only. 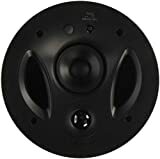 Still, the speaker is a powerful and efficient one due to its passive radiators, waterproof properties, or technical characteristics and sound amplification. 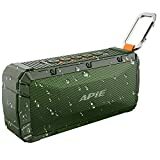 APIE Portable Wireless Outdoor Bluetooth Speaker is famous for its effective stereo, high volume, crystal sound, and powerful bass. Its battery lasts for 10 hours and the device can be easily connected to any Smartphone. 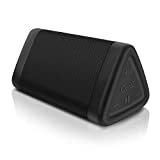 This Bluetooth speaker has wireless properties, it can be transported anywhere you want, and is the perfect décor for your garden, backyard, living room, or trips, weekends in the mountains or at sea, holiday etc. The next product is remarked for its bass power and HD sound capacity. DOSS Touch Wireless Bluetooth has the features of fingertip control, stereo quality, compatibility with Bluetooth devices, automatic reconnection, superior sound, and a 12 hours lasting battery. 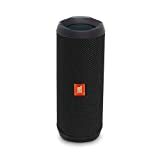 When ordering this portable speaker, the client receives also a USB cable. 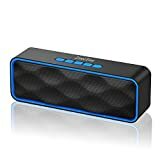 The Wireless Bluetooth Speaker ZOEE S1 uses Bluetooth technology, incorporates high volume and a crystal sound, having a strong bass at the same time. At each purchase, the customer receives the portable speaker, together with the user guide, audio and USB cables, and an additional thanks card. Further on, the product has 2 years warrantee. More than that, the company selling it offers 24hours assistance and support. The product fits perfectly any place of ones’ home, from living, to dining rooms, bedrooms, even bathrooms. It is also suitable for outdoor activities, such as socializing, spending time with your friends, but even hiking or biking. Next is AOMAIS Sport II Portable Wireless Bluetooth Speaker. This one has many features, such as a high quality stereo system, waterproof properties, nice and sustainable design, hands free characteristics, it uses a micro USB for battery charging, or durability due to its rubber surface that prevents scratches. The product has one year warrantee, and comes together with the USB cable, the welcome guide, float speaker and aux in cable, but also a thank you card. 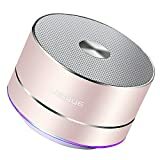 The LENRUE Portable Wireless Bluetooth Speaker has Bluetooth technology, is easily transportable due to its dimensions, has high quality sound, Bluetooth connections of high capacity, and provides five hours battery lasting. 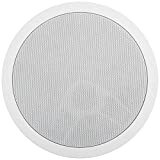 With a 33 feet connecting rate from androids, such as tablets or smart phones, the product also has features of automatic reconnection or hands free properties, incurring a build-in microphone. This product is waterproof resistant, in the first place. Then, is can be easily transported anywhere with you on trips, travels, or during holidays. Its package contains, among with the speaker itself, an audio cable, and a microphone, as well as a clip 2 speaker that allows for immediate connection. 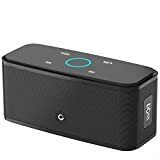 This product has a multiple audio function, and benefits from an excellent audio and stereo systems, being ultra portable due to its palm-size, and is characterized by last minute Bluetooth technology. Adding its hands- free option and convenient room filling property, the Lenrue Portable Bluetooth Speaker-A2-E Wireless Mini Outdoor Rechargeable Speaker becomes perfect for both indoor and outdoor activities. 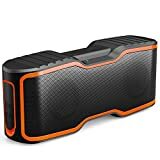 To sum up, we aimed to discuss top best 10 portable speakers and explain why they are useful and which their main traits are. Customers should choose according to their preferences, but also considering the technical features of each product, or the purpose of their purchasing. 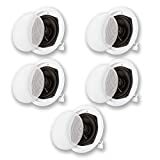 Although most of them are suitable for both indoors and outdoors, they have been mainly created for trips and travelling purposes, being portable, and benefiting from wireless connectivity. Also, we ensure potential customers that all these products are of high quality, and maintain their properties in time, so they should not think twice before taking a purchasing decision.